To give Art exposure through passion. To support, nurture and promote the visual art and artists of the Southern part of the African continent. To participate in linking Local to Global. 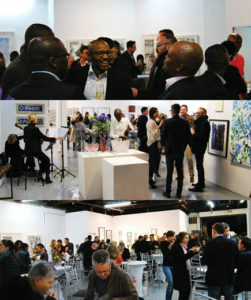 Anyone interested in the quality, diversity and depth of the Southern African Contemporary Art offer. The Artists with studios at the Bag Factory in Fordsburg, Johannesburg and associated to the other organisations or initiatives pursuing the same aims: Inter Alia Assemblage, August House, IFAS and Taxi Foundation in Johannesburg,A4ART and Atlantic House in Cape Town, MAP in Richmond, MC2A, Atelier Grand Village and “l’Usine Végétale” in France in the region of “La Grande Aquitaine” and many others…. SAFFCA, the Southern African Foundation For Contemporary Art, is a Non-Profit Company which aims to promote, encourage and support the Visual Arts of the Southern African region by nurturing and facilitating global access to it. The SAFFCA Collection which takes intellectual care of privately owned works of Art while enhancing their provenance for the collectors. The works entrusted by the collectors to the Foundation become credited as “ Privately owned, SAFFCA Collection ”. The rapidly growing Collection enable to share these “ Private Passions” and to fertilise knowledge and awareness around these works and their authors. Once an artist in the Collection his CV and most of the events in his artistic career enter our many channels of communication through information technology. The SAFFCA website SAFFCA.com and its Social Media activity through its FB page, facebook.com/saffca attempt to procure to the Art Aficionados from all global origins access to some core and relevant information around the Contemporary Art- Life in the Southern Portion of the Continent. It is through the Foundation’s social media that it has been approached to study the potential extension of its activities in Germany and the United States. Grown from a Southern African base, our followers are today established in 45 countries in Africa and the world. The SAFFCA Publications. After “ For the love of Being…”, its first book, SAFFCA is working today on its second project: “ River Notes; Notes on Entropy ” with Abrie Fourie, an artist of the Southern African diaspora established in Berlin. When possibilities arise, SAFFCA is partnering “ The Bag Factory ” and is represented by Pierre Lombart on its board. SAFFCA is becoming one of the obvious relevant stops for the visit of museums, friends of museums and institutions from abroad on tour in our region. SAFFCA proudly acts as emissary of Southern African art and artists. Pierre, one of the co-founder of SAFFCA is actively involved in the art scene, particularly in Europe. Presentation over lunch or dinner to targeted audiences or visiting groups of art aficionados by carefully selected artists representing the wealth, depth and diversity of the palette of Southern African contemporary art. Studio visits with small groups of passionate art lovers. Facilitated access to the variety of art spaces or communities through a map. Small overseas group tours at the occasion of art fairs, biennials or documenta in Kassel, Germany. Conferences, artist talks, and panel discussions like the SAFFCA Art Talks at the Kingsmead Book Fair. SAFFCA also organises intimate presentations by artist for 50 to 60 people at a time. Targeted fund-raising events for the foundation itself, the Bag Factory’s planned renovations and the 3 main art collectives in Johannesburg. Within the next two to three years SAFFCA will have its own space to display the SAFFCA collection in a programmed fashion in Johannesburg and/ or Cape-Town. SAFFCA receives 6 artists annually in residency in the heart of the city through its collaboration with “ The Project Space ”, the initiative of Benon Lutaaya. SAFFCA is planning some exhibitions in specific locations. The Foundations facilitates some intimate dinners with the presence of some artists. The SAFFCA team encourages, supports and keeps a close track of the up-and-coming artists’ arena and facilitates access to it. To keep its strict independence, the Foundation works alongside the commercial galleries without accepting any of their potential financial support. 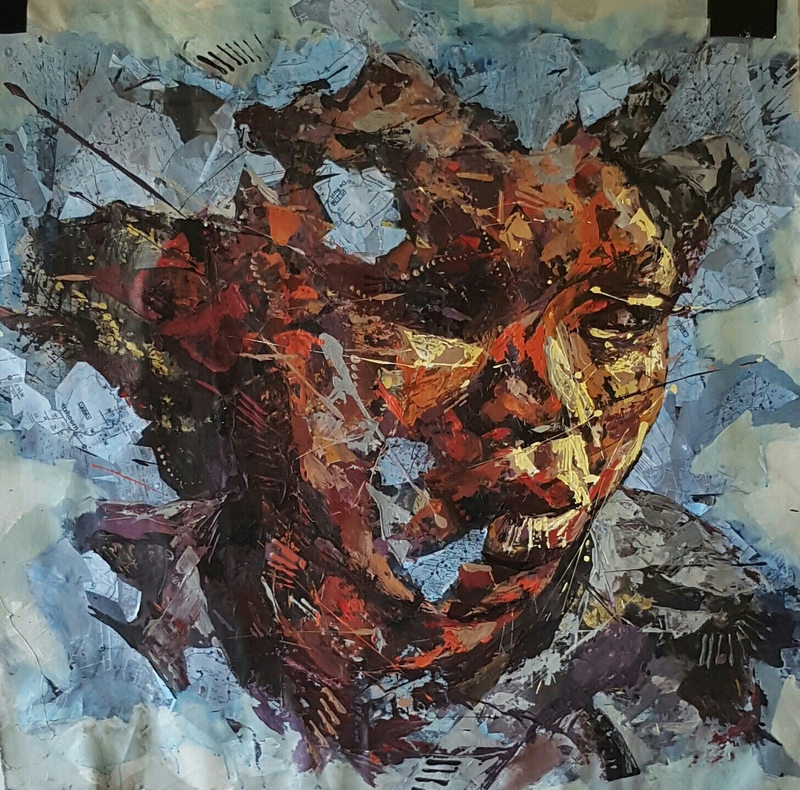 The Fordsburg Artists’ Studios, known as The Bag Factory was founded 25 years ago in 1991 with the aim of providing studio space to artists from a variety of backgrounds. At the time the cultural boycott and the group areas act had made it simultaneously difficult for artists from difference races, cultures and countries to work together. Since then the Bag Factory has expanded its programming and now includes an internationally renowned visiting artists program, a curatorial development program and studio subsidisation program. SAFFCA associates with and includes the Bag Factory when possible at its small events and visits to encourage and grow the awareness of the Fordsburg Artists’ Studios initiative. 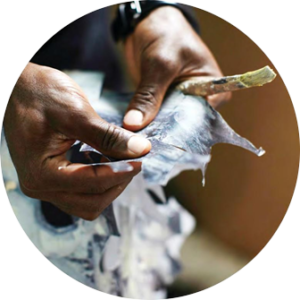 Furthermore, SAFFCA welcomes artists from the Bag Factory in its residency program in Knysna or St Emilion in the space of AFSACSA, the association created in France in the heart of Europe to facilitate multicultural artistic encounters and conversations. Since the 15 of January 2017, SAFFCA has started an Artists Residencies’ Program at Entabeni Farm in one of the obvious stops on the South African Garden Route. Two artists are usually working at the same time in our space in Knysna. The one artist is from the Southern part of the African continent while the other one would come as often as possible from anywhere on the globe. These double residencies will facilitate true socio-cultural and artistic encounters. The three double residencies periods are: 15th of January to end of March, 1st of April to 15th of June and 15th of September to the end of November. The program is already established up to the end of 2018 and is extremely well received by overseas artists. Axon Properties is offering the artists within the frame work of the SAFFCA residencies program the possibility to reside and work in their premises on the 39 hectares on which Entabeni Farm is established. The Heads, 2017 By Mbongeni Fakudze in Residency in Knysna. The portrait is of Nompumelelo Tshabalala after their visit to the Heads. The natural beauty of the area inspired this portrait. AFSACSA, l’ “Association Française de Soutien à l’Art Contemporain du Sud de l’Afrique”, another NPC, was created in France to create a strong presence of SAFFCA in Europe. 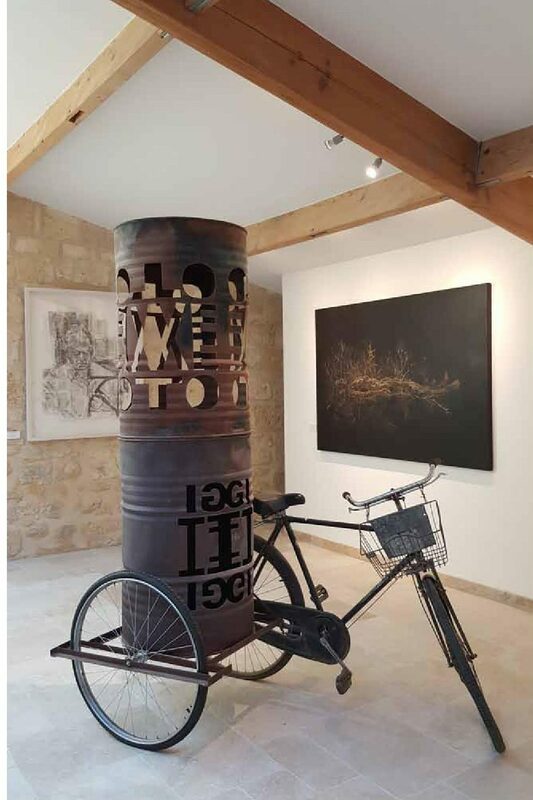 AFSACSA’s space, situated 3 Bis rue de la Porte St Martin à 33330 Saint Émilion in the heart of the medieval city anchored in the vineyard’s landscapes. This UNESCO world heritage site, welcomes in residency southern African artists, presents a portion of the Permanent Collection of SAFFCA and houses a small research centre. AFSACSA welcomes a young curator for her or his internship every year in St Emilion. The Job description is to look after the space, the works of the Collection on display, the visitors and the artists in residency. In addition, some cultural journeys are a possibility due to the ideal situation of Saint Emilion in the heart of Europe. AFSACSA intends to extend the number of artist in residency at any one time to three. Two of the artists would be from the Southern part of Africa, while the third one would be issued from anywhere around the globe. St Émilion would then become the witness of multicultural short journeys framing these exhilarating artistic conversations and exchanges. AFSACSA is determined to create this opportunity. AFSACSA is blessed by the global aura of St Émilion as well as by its 1 200 000 visitors from a multitude of diverse origins per annum and endeavors to play its part in the cultural offering of this Chef Lieu of the Bordeaux Wine area. The artists in residency at AFSACSA in 2016 and 2017 were and are Themba Khumalo, Nelson Makamo, Pauline Gutter, Sam Nhlengethwa and Andrew Tshabangu. From 2018 AFSACSA will receive in residency the laureate of the young female artist award organized by Benon Lutaaya in collaboration with the Bag Factory and SAFFCA. Furthermore, AFSACSA is carefully but surely penetrating the cultural landscape of the Bordeaux. In the beginning of 2017, a first exhibition was offered at Arrêt sur l’Image – Galerie within the framework of the Semaine des Afriques organized by the Institut des Afriques and MC2a. In Octobre, November and December 2018 and January 2019 SAFFCA and AFSACSA will prepare an exhibition for the Agence Culturelle de la Dordogne in the space François Mitterrand. AFSACSA and SAFFCA keep today close contacts with the FRAC Aquitaine, MC2a, Atelier Grand Village, the “ Usine Végétale ” and the Centre Pompidou ( Pierre is a member of the acquisition committee for photography ), the Cultural Agency of the Dordogne as well as with the IFAS and the Alliance Française in Johannesburg. AFSACSA receives in its premises many visitors as well as people from the Bordelese and local community coming to their regular informal encounters around the visiting artists and their work. SAFFCA and AFSACSA are truly desirous to see the potential collaborations with all of the organisations of the Bordelese and the actors on the visual art scene in Aquitaine. Les Arts et artistes visuels d’Afrique Australe. Les commissiares d’expositions de la même région. Les passionnés d’Art Contemporain d’Afrique et de toutes les autres régions du monde. Tous ceux qui s’intéressent à la richesse comme à la diversité de la création contemporaine d’Afrique australe. Les artistes du “ Bag Factory ” à Johannesburg et associés aux autres initiatives poursuivant les mêmes buts tels qu’entre autres : Assemblage, August House, IFAS et Taxi Foundation à Johannesburg, A4art et Atlantic House à Cape Town, MAP à Richmond, MC2a, Atelier Grand village et l’ Usine Végétale en France dans la région de la Grande Aquitaine, et beaucoup d’autres…. SAFFCA, la “Southern African Foundation For Contemporary Art”, est une organisation sans buts lucratifs qui vise à encourager, soutenir et promouvoir les arts visuels en Afrique australe en facilitant un accès global à ceux-ci. La Collection SAFFCA qui prend intellectuellement soin d’œuvres d’art de collections privées tout en participant à la croissance, pour le collectionneur, de leur provenance. Les œuvres qui sont confiées de la sorte à SAFFCA sont créditée : « Privately owned – SAFFCA Collection ». La collection en constante croissance facilite l’accès à ces « Passions Privées » et développe la médiatisation de ces œuvres et de leurs auteurs. Une fois entré dans la Collection, le curriculum vitae de l’artiste ainsi que toutes ses participations à des évènements et expositions dans le monde apparaissent sur le site web ainsi que la page Face Book. Le site web www.SAFFCA.com et la page Facebook www.facebook.com/saffca procure aux passionnés d’Art Contemporain de » toutes origines accès à une information essentielle et fondamentale concernant la scène artistique d’Afrique australe. C’est par ce biais que la Fondation a été aprochée pour la réalisation d’une exposition en Allemagne ainsi que pour une extension possible de ces activités aux Etats-Unis. A partir d’une base de d’auditeurs d’Afrique Australe, les activités de SAFFCA sont aujourd’hui suivies dans 45 pays dans le monde. Les publications de SAFFCA. Après “ Par pur Plaisir d’être… », son premier livre, SAFFCA participe aujourd’hui au projet de livre : « River Notes- Notes on Entropy » d’Abrie Fourie, artiste de la diaspora Sud-Africaine établi à Berlin. Lorsque la possibilité s’en présente, SAFFCA entre en partenariat avec le « Bag Factory » et est représentée par Pierre Lombart dans son conseil d’administration. 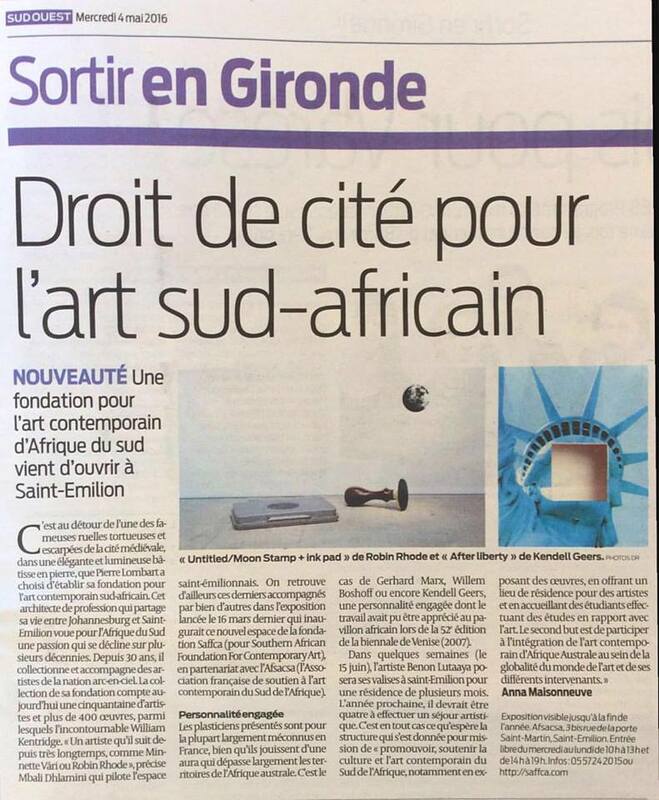 SAFFCA deviant aujourd’hui l’une des étapes et rencontres essentielles lors de visites de musées, de groupe d’amis de musées et de tout autres institutions artistiques lors de leurs voyages dans le Sud de l’Afrique. SAFFCA agit en émissaire de la vie artistique d’Afrique Australe. Pierre, co-fondateur de la Fondation, est notamment impliqué depuis de nombreuses années dans la vie artistique Européenne. Présentation par une ou un artiste sélectionné avec soin et représentant la richesse de la création contemporaine Africaine lors d’un lunch ou d’un dîner à un auditoire ciblé ou un groupe de passionnés d’Art Contemporain venant d’origines diverses. Visites de Studio d’artistes et rencontres avec celle-ci ou celui-ci pour de petits groupes d’intéressés ou de passionnés. Accès facilité à une quantité de communautés d’artistes et autres organismes, musées, galeries, etc… grâce à une carte des arts interactive. Des visites par petits groupes à l’occasion de foires d’Art, de Biennales ou de documenta à Kassel en Allemagne. Conférences, Conversations entre artistes ou initiés comme les Conversations d’artistes à la foire du livre de Kingsmead. De plus, SAFFCA organise des présentations d’artistes à des groupes plus intimes de 50 à 60 personnes. Organisation d’évènements ciblés destines à récolter des fonds pour la Fondation, pour les renovations programmées au “ Bag Factory ”, ainsi que pour le soutien des trois collectifs d’artistes à Johannesburg. Discussions avec des musées d’origines diverses. Dans les deux à trois ans qui viennent, SAFFCA va pouvoir jouir d’un lieu d’exposition propre à Johannesburg et/ou Cape Town, pour pouvoir programmer des expositions de ces passions privées citées ci-dessus. En collaboration avec “ Project Space ” une initiative basée à Johannesburg et créée par Benon Lutaaya d’origine Ougandaise, SAFFCA reçoit à Johannesburg 6 artistes chaque année. Celles-ci ou ceux-ci travaillent au cœur de collectifs artistiques de la ville et participent de ce fait à des conversations artistiques multiculturelles. SAFFCA étudie et planifie des expositions dans des espaces spécifiques locaux. La Fondation facilite des diners en présence d’artistes. L’équipe de SAFFCA encourage, supporte et participe à la promotion de l’avant-garde de la création artistique auquel elle facilite un accès encadré. Afin de sauvegarder une stricte et sacro-sainte indépendance, la Fondation soutient la création artistique en parallèle aux galeries d’art et autres agences commerciales mais n’en accepte aucun soutien financier. Les studios d’artistes de Fodsburg, connus sous le nom de “ Bag Factory ” ont été fondés il y a plus de 25 ans, en 1991 dans le but d’offrir des espaces d’ateliers à des artistes d’origines diverses et multiples. A cette époque, le boycott culturel et le « group areas act » avaient rendu simultanément difficile pour des artistes issus de groupes et de pays différents de travailler ensemble. Depuis lors, le “Bag Factory ” a étendu son programme qui inclut aujourd’hui des résidences pour artistes étrangers de renom, un programme de développement pour commissaire d’expositions et l’offre de subsidier quelques ateliers d’artistes au sein du collectif. Depuis Janvier 2017, SAFFCA a commencé un autre programme de résidences artistiques à Entabeni Farm à Knysna, une étape incontournable le long de la fameuse « Garden Route » Sud-Africaine. Deaux artistes travaillent simultanément dans le même espace d’atelier. L’un est issu de l’Afrique australe et l’autre provient aussi souvent que possible d’origines diverses. Ces doubles résidences facilitent des conversations artistiques multiculturelles. Cette initiative a été extrèmement bien reçue localement et reçoit Clément Garnung de la Nouvelle Aquitaine pendant les mois d’Octobre et de Novembre, comme premier artiste issu de la globalité. L’hébergement des artistes est offert par Axon Properties, la compagnie qui possède les 39 hectares sur lesquels se déploie Entabeni. « The Heads » par Mbongeni Fakudze en résidence à Knysna. Ce portrait est de Nompumelelo Tshabalala au retour d’une journée aux « Heads ». La beauté des éléments naturels du lieu ont inspiré cette oeuvre. AFSACSA, l’“Association Française de Soutien à l’Art Contemporain du Sud de l’Afrique”, une autre organisation à buts non lucratifs, a été établie en France pour donner à SAFFCA une réalité et présence Européennes. L’espace d’AFSACSA est situé 3 Bis rue de la Porte St Martin à 33330 Saint Émilion au Cœur de” la cite médiévale ancrée dans les paysages viticoles. Ce site inscrit au patrimoine mondial de l’UNESCO, accueille en résidence des artistes d’Afrique Australe, présente une partie de la Collection permanente de SAFFCA et abrite un petit centre de recherche. AFSACSA accueille en stage chaque année et pour une période de sept mois une ou un jeune commissaire d’exposition en son espace à Saint Emilion. Ses tâches sont entre autres de gérer la vie journalière de l’espace, de veiller sur les œuvres de la Collection exposées, d’accueillir les visiteurs ainsi que les artistes en résidence. De plus, de petits voyages culturels peuvent s’organiser du fait de la position centrale au cœur de la richesse de l’offre artistique Européenne. AFSACSA a le désir d’augmenter le nombre de résidences à trois ( simultanées ). Deux des artistes viendraient d’Afrique australe, alors que le troisième serait d’un autre continent du globe. St Émilion deviendrait alors le témoin d’échanges multiculturelles encadré par ces conversations artistiques. AFSACSA est déterminée à ce que cette opportunité voie le jour. 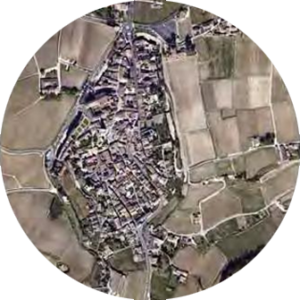 AFSACSA bénéficie de l’aura planétaire de St Émilion et de ces 1 200 000 visiteurs d’une multitude d’ origines diverses chaque année. La Fondation s’efforce de jouer un rôle actif au sein de l’offre culturelle de ce chef-lieu des vins de Bordeaux. Les artistes en résidence à l’AFSACSA en 2016 étaient Themba Khumalo et Nelson Makamo. Pauline Gutter, Sam Nhlengethwa and Andrew Tshabangu leur succèdent en 2017. A partir de 2018 AFSACSA recevra en résidence la lauréate du prix de la jeune création artistique féminine d’Afrique Australe. Ce prix est décerné par Bénon Lutaaya en collaboration avec SAFFCA et le « Bag Factory ». De plus, l’AFSACSA s’inscrit petit à petit dans le paysage culturel Bordelais. En Janvier 2017, une première exposition fut réalisée à Arrêt sur l’image-Galerie au sein de la semaine des Afriques organisée entre autres par l’Institut des Afriques et MC2a. En Octobre, Novembre et Décembre 2018, SAFFCA et AFSACSA monteront une exposition pour l’Agence Culturelle de la Dordogne à Périgueux dans l’espace François Mitterrand. L’AFSACSA et SAFFCA sont aujourd’hui en contact étroits avec le FRAC Aquitaine, MC2a, l’Atelier Grand Village, l’Usine Végétale, le Centre Pompidou ( Pierre Lombart est membre du comité d’acquisition pour la photographie ), l’Agence Culturelle de la Dordogne ainsi que l’IFAS et l’Alliance Française en Afrique du Sud. AFSACSA reçoit en ses murs de nombreux visiteurs ainsi que la communauté Bordelaise et locale lors de ses nombreuses rencontres informelles autour des artistes en résidence et de leurs travaux. SAFFCA et AFSACSA sont très désireux de voir croître les collaborations éventuelles avec tous les acteurs de la région Bordelaise et de la Nouvelle Aquitaine.